The government at one point owned 92% of AIG. The Treasury Department said Tuesday it had agreed to sell the last of its shares in insurer AIG, resulting in what it says is a $22.7 billion profit on one of the key bailouts of the 2008 financial crisis. Treasury owns 15.9% of AIG, or 234.2 million shares. The department said it's selling the remaining stock in an underwritten final offering at $32.50 per share, expecting to raise $7.6 billion. Monday's closing price was $33.36. 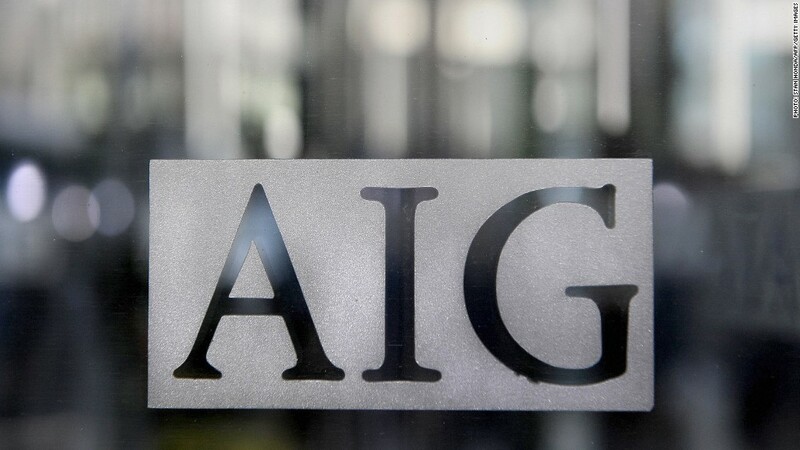 The offering comes four years after AIG was crippled by the financial crisis, requiring a government bailout, called the Troubled Asset Relief Program, which eventually swelled to $182 billion. The government at one point owned 92% of the firm. The Treasury Department still holds warrants allowing it to purchase roughly 2.7 million AIG shares that will also be sold in the future. In an internal memo to employees, AIG CEO Robert Benmosche said the Treasury sale "marks one of the most extraordinary -- and what many believed to be the most unlikely -- turnarounds in American business history." "This has been a long walk since September of 2008," Benmosche wrote. AIG (AIG) shares rose 4% in midday trading Monday. Neil Barofsky, who oversaw TARP from 2008-2011 and is now a senior fellow at New York University School of Law, said the sale is "very good for the taxpayer." But he also called it "misleading, in that nearly a third of that stock came from the Federal Reserve, not from purchases made by Treasury through the TARP program." In an email to CNNMoney, Barofsky said the fact that Treasury paid out AIG's creditors at 100 cents on the dollar created a "massive moral hazard" and incentivizes "the exact same types of behavior that led to the last crisis and will almost certainly cause the next." In September, the Treasury Department sold $20.7 billion worth of AIG shares, reducing its stake in the company from 53.4% to 15.9%. At that time, Treasury said it and the Federal Reserve together had generated a $15 billion profit on the AIG rescue, having recovered $197 billion on a $182 commitment.